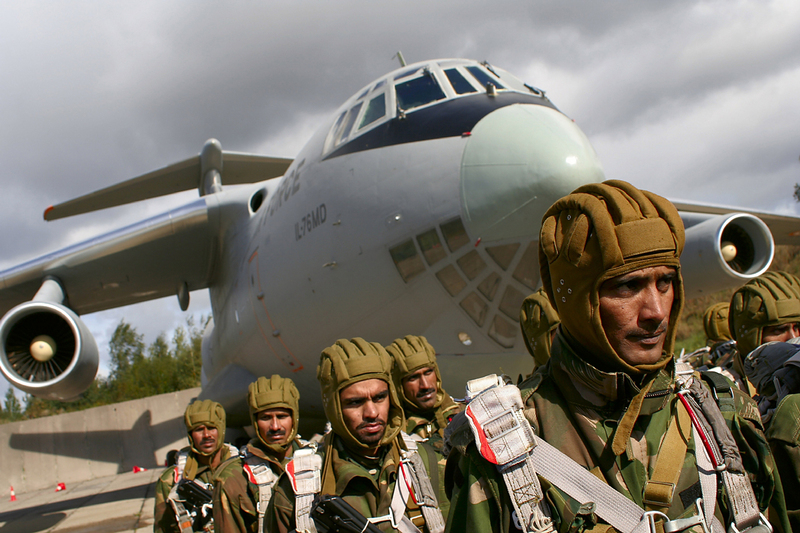 Russia and India have been holding annual drills for more than a decade. The Indian government, while abstaining from official comments on the joint military drills held by Russia and Pakistan, seems to be deeply annoyed. How justifiable is the tacit displeasure of New Delhi and how should Moscow handle the “third parties” when it comes to bilateral relations with either India or Pakistan? The exercises, under a peaceful name, ‘Friendship-2016,’ unfortunately are taking place in the wake of unprecedented deterioration of relations between New Delhi and Islamabad. Caught in the middle of a nasty war of words raging from both capitals, Moscow apparently wishes to not even be collaterally involved in the verbal hostilities. Cancelling or rather postponing the military exercises with Pakistan, even in the last minute, probably would have been practical and wise for the long run. Yet, that could have been a bit of a problem since, first of all, a short notice would not have been appreciated by any military. Secondly, it would not have gone down well with Pakistan, which will soon become a member of the Shanghai Cooperation Organization (SCO) led by China and Russia. The outburst of bellicose rhetoric in India and Pakistan was triggered off by attack on an Indian Army base in the town of Uri in the Indian state of Kashmir by a terrorist group called Jaish-e-Mohammed (JeM) on Sept. 18. This group is widely believed to be linked to the Pakistani intelligence services and was reportedly responsible for a similar attack on a military base in the town of Pathankot in the Indian state of Punjab in January. “For one tooth, the complete jaw. So-called days of strategic restraint are over,” Ram Madhav, a prominent executive of India’s ruling Bharatiya Janata Party (BJP), posted on Facebook. Also on the downside is the flow of truly worrying battle cries in the Indian media. “Let guns now talk with Pakistan,” to “cripple” the country and “bring them down to their knees,” a media outlet said. Both South Asian neighbors seem to have taken one step back from the nuclear abyss. However, joint exercises by Russia and Pakistan are taking place at the most inopportune moment. Then word “friendship” could be interpreted by India as a sign that Moscow might be siding with a ‘sworn enemy,’ which, of course, is not true. Actually, there are absolutely no grounds for suspicion, whoever might harbor it, that Russia might be abandoning its privileged and strategic relationship with India. Nor is there any sign that Moscow attempts to take an equidistant approach to the unfortunate rivalry in the turbulent region. The one-dimensional assumption that the ‘Friendship-2016’ drills could tilt the balance of sympathy and affect the geopolitical leaning of Moscow toward Islamabad is unworthy of any serious analysis. Numbers do count, after all. The first ever drills with Pakistani military units coincide with the launch of Russia-India annual (!) counter-terrorism military drills called Indra-2016. The exercises involve an Indian motorized battalion of 250 servicemen. In contrast, there are only 90 Russian soldiers dispatched to Pakistan. The quality and level of military interaction cannot be compared. At Indra-2016, Indian military personnel are engaged in training to use unmanned aerial vehicles (UAVs) or drones to find and destroy “illegal armed groups,” according to the scenario of the drills. After all, Moscow has been conspicuously calm since 1992, when the Malabar exercises between the United States and India were launched. It is the sovereign right of any nation to choose allies of various grades, provided their military cooperation is not aimed at threatening time-honored friends.